Speaking as one who also has sensitive skin, I have a question. I enjoy wearing perfume but have not been able to for the last few years because of skin allergies. 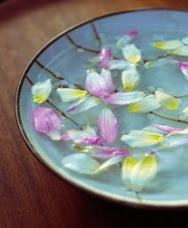 I can tolerate the fragrance for a few weeks at the most before developing skin irritation. I wonder if there are "hypo allergenic" perfumes, or is that an oxymoron? Any suggestions? I must say I haven't tried any brand of perfume for a few years. I am sorry you have an allergic reaction to perfumes. Unfortunately fragrances are top offenders when it comes to allergies, many brands of perfume, in fact, contain toxic chemicals. 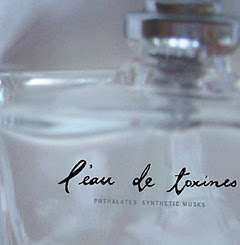 To make things worse, fragrances are found not just in perfumes but in detergents, in candles, in shampoos, in air fresheners, and many people sensitive to perfumes suffer allergic reactions that span from skin irritations, to asthma, to headaches, to even seizures. Amylcinnamic alcohol - Anisyl alcohol - Benzyl alcohol - Benzyl salicylate - Cinnamic alcohol - Cinnamic aldehyde - Coumarin - Eugenol - Geraniol - Hydroxycitronellal - Isoeugenol - Musk ambrette - Oak moss absolute - Sandalwood oil - Wood tars - Cinnamon - Clove. 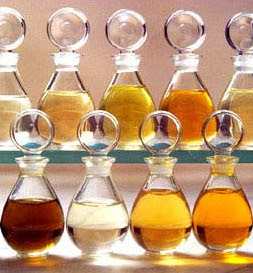 The bad news is that most perfumes won't list their ingredients, some do but only in part. So even if you could ever pinpoint the one or two ingredients that are causing your skin to react, it would still be difficult for you to find products that don't use those ingredients. As a general rule, in your case, I would stear clear from mainstream or "popular" perfumes. These are without a doubt the more toxic ones. I personally get headaches from some of them. Hypnotic Poison by Christian Dior, for example, makes me sick in a matter of seconds as soon as I smell it. Other ones I can tolerate, but I can't spray too close to my face or nose, so I compromise and only spritz them on my wrists. Something you could try are oils. Essential (natural) oils. Not fragrance (synthetic) oils. Please understand that people have reactions to oils as well, and that no product out there is completely hypoallergenic. But with safe trial and error, hopefully you will be able to find something that works for you. I've collected a few sites that offer a more natural product. Most of them offer samples of their oils, so try those first before you buy any full sizes. Finally, you could try other means of perfuming yourself, like body lotions or floral water. As a final suggestion, don't use too much of any product all in one part of your body, instead distribute it lightly to a wider area of your skin with gentle taps of your finger. I had no clue there are so many FABULOUS options available. And I thought I was meant to live a scentless existence. Thank you for introducing me to so many possibilities. I plan to try the lavendar perfume/oil.